Lorraine G. Sloan was charged with a misdemeanor count of falsifying business records. A dispatcher with the Olean Police Department was arrested Wednesday, accused of falsifying a prison log by claiming she had checked on a prisoner who committed suicide. 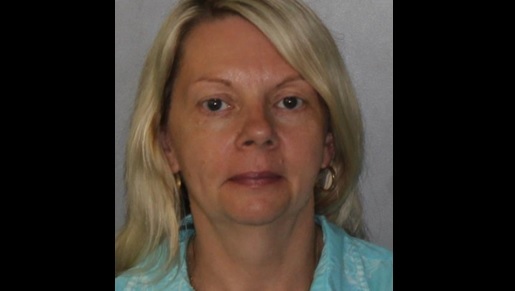 Lorraine G. Sloane, 55, of Olean was charged with a misdemeanor count of falsifying business records, State Police said. She is no longer working for the Olean Police Department, Police Chief Jeff Rowley said Thursday. At about 12:45 p.m. June 11, Stephen Schindlbeck, 31, who had been arrested the previous night on a driving while intoxicated charge, attempted to hang himself in his jail cell, Rowley said. Schindlbeck, who had a last known address in Allegany, died almost a week later at Erie County Medical Center. As part of their duties, Olean police dispatchers are supposed to check prisoner cell at least every 30 minutes, Rowley said. "During the course of my investigation I discovered an inconsistency in the prisoner log," Rowley said. Rowley said he reached out to the State Police to look into the prisoner log. State police investigators believe Sloane signed the prisoner log book, saying she checked the cells even though she had not. Sloane "did intentionally make a false entry in the Olean Police Department prisoner log," State Police said. "I have nothing to say," Sloane said when reached by phone Thursday. Sloane was issued a ticket to appear in City of Olean Court in July. Olean police are investigating Schindlbeck's death and have also contacted the state Commission on Correction about the matter. The commission investigates all deaths that occur in jails and prisons in the state.